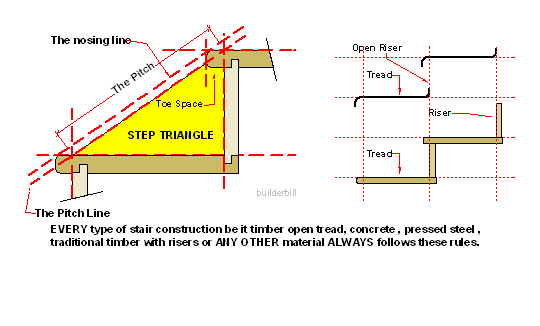 The amount by which a tread overhangs the riser below it to create a more comfortable stair. 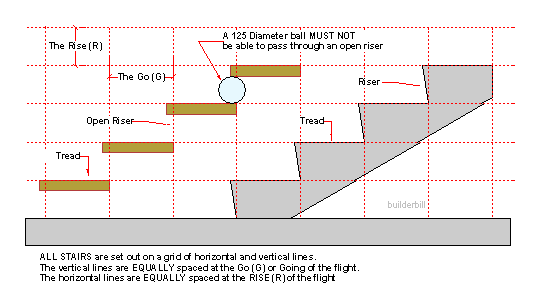 The two stair set-out sketches here show various types of stairs that clearly shows the the overhang of the treads that makes the toe space. It is not part of the stair calculations. It is easy to see that the tread in many cases is greater than the Go. I have never built a stair without toe space. Usually it is 25 to 30mm or 1" to 1-1/4". Toe space makes a comfortable stair but it should not be too large. It is to be preferred but it is not mandatory. 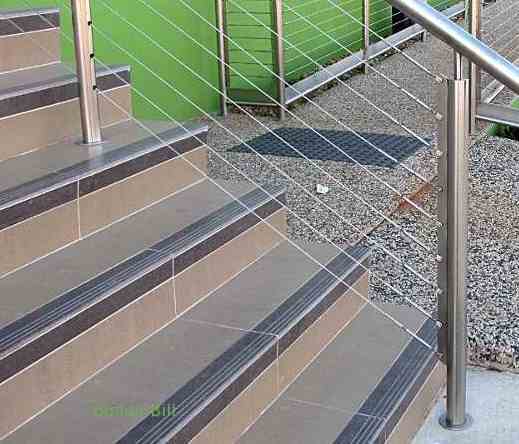 Many concrete stairs that are ceramic tiled like in the photo below do not use toe space. I guess that if you have a good tread width then toe space is less important than if the tread is narrower.